Ottawa Mayor Jim Watson says it would be hypocritical of him to attend a lavish Fourth of July party while U.S. President Donald Trump slaps punishing tariffs on Canada. So this year, Watson politely declined an invitation from the U.S. ambassador. 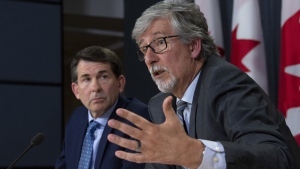 “I’m tired, like a lot of other Canadians, of the constant chirping and attacks of the president, whether it’s against the prime minister, against our steel workers, aluminum, cars, dairy products,” Watson told CTV’s Power Play on Thursday. The annual event, held at the U.S. ambassador’s residence in Ottawa’s swanky Rockcliffe Park neighbourhood, is a gathering of the city’s political elite. American beer sponsors, antique cars and plenty of stars and stripes are a common fixture. Watson has attended the party in past years. But this year’s event, which takes place just three days after Canada applies its own retaliatory tariffs on the U.S., is different. Watson insists his gesture is one of principle, and he doesn’t expect it will ruffle too many feathers. “At the end of the day, I’m realistic. I don’t think anyone is losing any sleep over the fact that the mayor of Ottawa – maybe if it was the mayor of Toronto,” he said. Watson’s decision has been met largely with praise, with plenty of Twitter users commending him for taking a stand. Mayor Jim, I applaud you for your decision to give the US Embassy party a pass. I only hope that other officials and politicians follow your lead. Your discomfort is understandable and you are taking a principled stand. @JimWatsonOttawa Mr. Mayor, as a dual citizen (US/Canada), I support your call to boycott the 4th of July celebration at the US embassy. 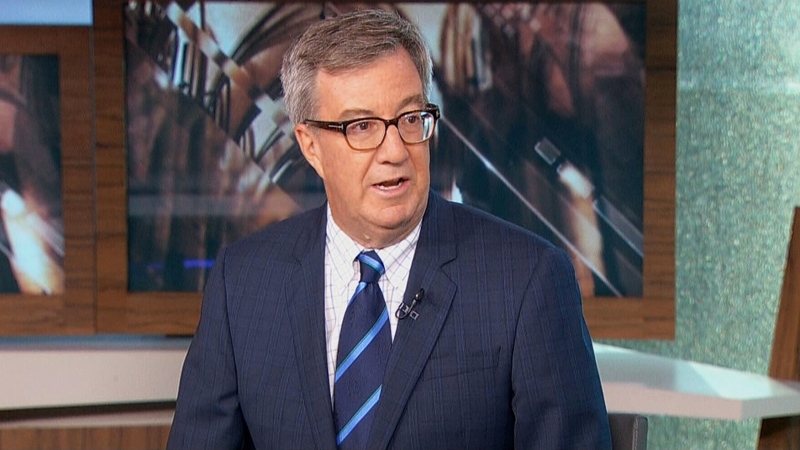 Ottawa Mayor Jim Watson says he won't attend an annual Fourth of July party while the Trump administration slaps punishing trade tariffs on Canada.